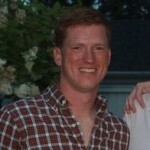 Andrew grew up in Birmingham, Alabama and received a B.A. in Religious Studies from Dartmouth College. After completing his undergraduate studies, Andrew served in the Marine Corps as an infantry officer with 1st Light Armored Reconnaissance Battalion as a Platoon Commander and Executive Officer. Upon separating from the Marine Corps, Andrew moved to Boston and is currently an Associate at J.P. Morgan’s Private Bank. Andrew continues to work with several organizations at Dartmouth College, and Veterans Legal Services – a non-profit legal organization that provides legal services to homeless and low-income veterans in the Boston area.